Upgrade to Speed Post Included! This ready-to-ship aircraft is a complete quad, designed to get you out of the box and into the air with minimal tinkering. 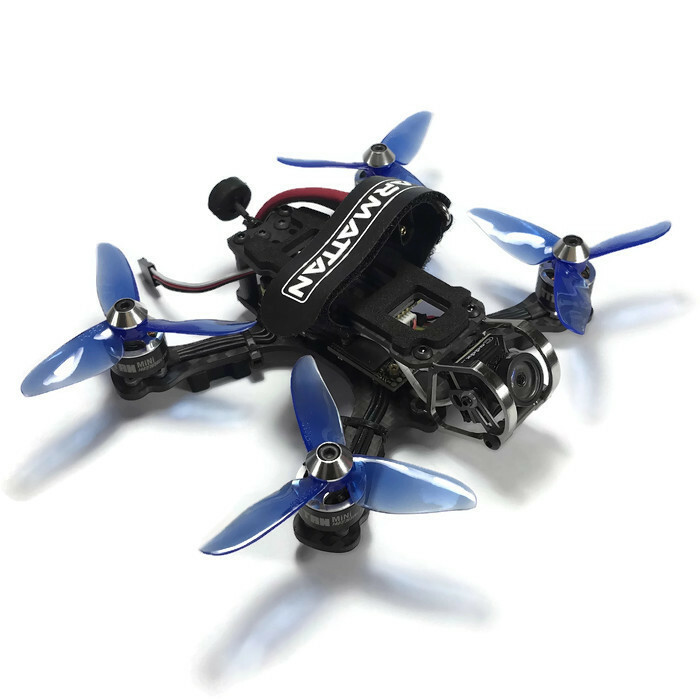 If you don't have the time, interest, or experience to build a quad of your own, this is a fantastic platform to get you started. Built with high quality components, these models are tested, flown, and tuned to make sure you're getting the finest product we can offer. That means you are locked-in out of the box. Also, while we have stock, you can select the receiver of your choice. Because this model will ship as soon as you order, we have limited quantities on hand at any one time. If it is unavailable for purchase, you can keep an eye out for the next batch, or take a look at the main product on this page. There, you can customize a kit, or even have it built to order! While this comes with almost everything you need, there may be some other bits you need to pick up before you can fly your new quad to new heights.